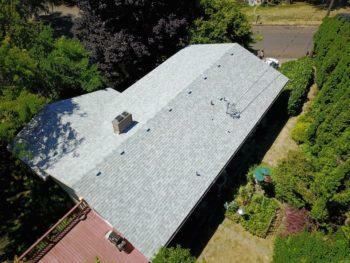 Get roof repair in Washougal done right! The longer you wait to do roof repair in Washougal, the greater the chance that your minor issue could turn into something catastrophic. A small hole in the roof could grow larger, or a few missing shingles could eventually provide an entrance for water to enter your home during the long rainy season. However, many minor issues don’t need to be addressed right away, and trying to get every tiny thing fixed could simply end up costing you more. But how can you tell what needs to be repaired now? Let the roofing contractors at Ridgeline Roofing be the judge of that. We provide free estimates before doing any work so you can know the extent of the problem, how soon it should be fixed, and an accurate quote of the cost. Cracked vents, often the ones for your attic. Moss growth—especially common in Washougal! Exposed fasteners that are or will be leaking. Missing or improperly secured shingles. What if I need a new roof? Then we can help get you one that will last! 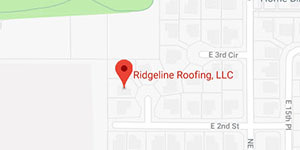 At Ridgeline Roofing, we use only top-quality roofing such as Malarkey brand roofing products that last for decades without a problem. Your new roof will not only stay strong the years, but it will look great doing so! 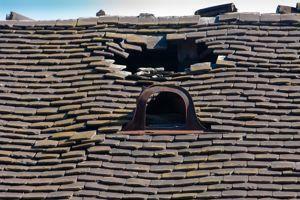 When you’re deciding between roofing companies near Washougal, you probably know that going local is better. And out of those local roofers, we’re one of the few that are happy to work on even the most challenging roofs. We’ve even stepped up and tackled roofs that are nearly vertical! No matter what kind of roof repairs in Washougal you need, our talented team of roofing pros can do it, and they’ll do it with the incredible service that makes us stand apart from the rest. We let you know what’s urgent and what can be put off for a while, and we’ll never suggest services you don’t need. We’re here to help! Call or contact us today to get started.